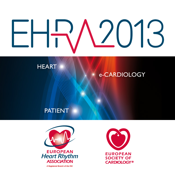 EHRA Europace 2013 is the meeting of the European Heart Rhythm Association (EHRA). EHRA EUROPACE is an established, international conference attracting key opinion leaders, well-recognised scientists, physicians, allied professionals and industry, who all enjoy scientific exchange of the highest level in an informal atmosphere. A record-breaking 5 560 participants attended our last meeting. The steadily growing international attendance confirms the relevance of EHRA EUROPACE within the worldwide scientific community. Thanks to this app, browse the complete scientific programme by days, by topics or by types & tracks. Create your personal programme. Locate rooms and exhibitor stands on the floor plans, search the entire programme, receive daily news and much more. Before first use, you'll need to download the latest conference data. Afterwards, you can use the app offline although an update will be available before the Congress.